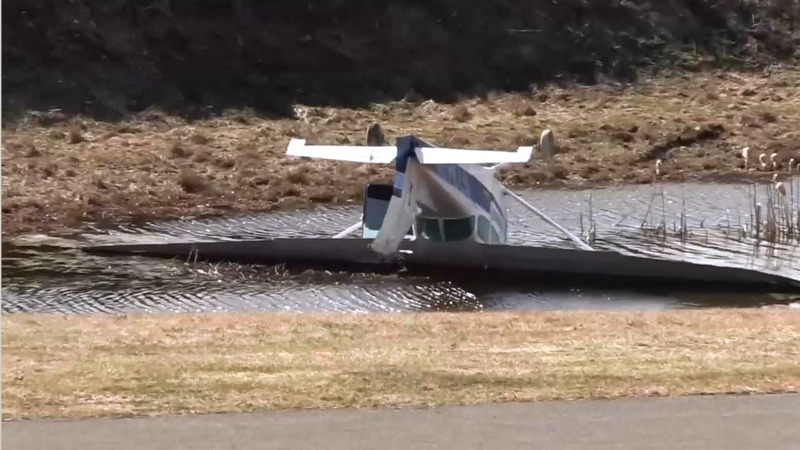 MILLBROOK, New York (WABC) -- A small plane veered off of a runway, flipped over and ended up in a pool of water after landing at an airport in Dutchess County. The FAA says the plane's landing gear was up when it touched down. The incident happened Sunday afternoon at Sky Acres Airport in Millbrook. The FAA says four people were on board the Cessna. One of them was taken to the hospital with minor injuries.